Aminovit is a liquid condition preparation containing 21 high-quality amino acids. Amino-acids are the building stones of proteins from which the function onto the muscles, nervous system and skeleton origins. 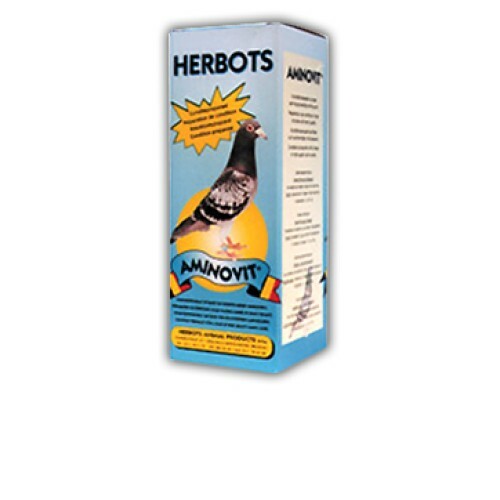 Aminovit is a liquid condition preparation containing 21 high-quality amino acids for racing pigeon. Amino-acids are the building stones of proteins from which the function onto the muscles, nervous system and skeleton origins. - for speed and 1/2 distance, 3rd day and last day before the day of hiving. - for long distance, for a period of 3 days before the day of hiving.